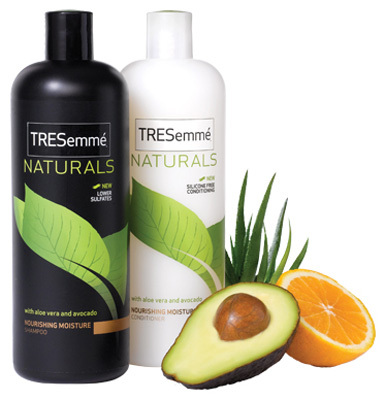 I recently began using TRESemme’ Naturals and I really really like it. I purchased the Sweet Orange and Lemongrass Shampoo and the Aloe Vera and Avocado Conditioner $4.77 each @Walmart. I dilute my shampoos by mixing in a separate bottle w/water and sometimes apple cider vinegar. I do this because too much shampoo (even sulfate free etc. etc. dries my natural hair). I like this TRESemme’ conditioner because it detangled and loosened my curls very well.